Why have you remained an independent business? I think that staying independent and not having the corporate cookie cutter models, particularly downtown, is what gives towns like ours its flavor. But really the whole town is pretty special in that it’s independently owned, it’s not a bunch of strip malls that are all the same. Living here, I appreciate that. I also think people come to Durango and appreciate it’s uniqueness that makes the town vibrant. I actually just had some friends from Jackson Wyoming who came here and thought the downtown was awesome and that’s saying something for sure. Has that been challenging in the outdoor industry to compete with chains? Our industry is getting gobbled up by the big guys. It’s hard and it’s been hard for years. Some of the bigger retailers as well as the discount guys started coming online in the last few years so people can look elsewhere and price shop; it’s harder now than ever. For instance, MooseJaw is owned by Walmart–to me it’s disgusting that people would support Sam Walton for their outdoor gear, but that’s the way it is. On the flip side there’s support from certain people and certain vendors. I know Patagonia is pulling out of Moosejaw for that reason, and the fact that they’re just tip toeing that line of who they want to be. It’s hard this day and age for sure, but we sell fun, so it’s also fun. What do you think Pine Needle has to offer that chains or non-independent retailers don’t? 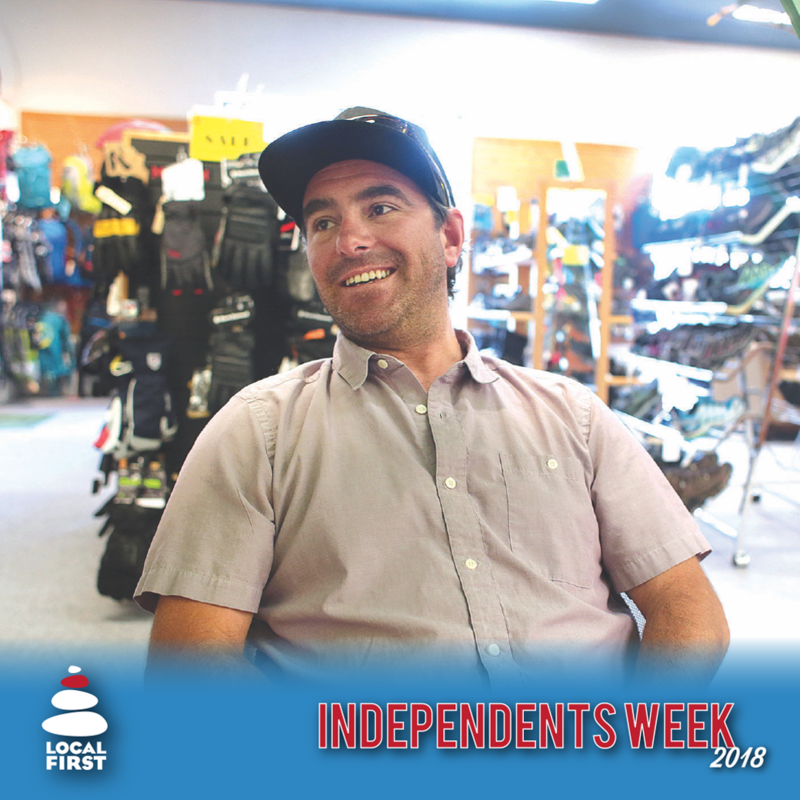 I think Pine Needle has a similar flavor of all the other locally independent stores, their fingers are on the pulse, their heart is in it first and foremost for the community, at least that’s how we feel about Pine Needle. I just read this article about the best retailers and one of them, a big chain, got kudos because the owner would show up at each one of the stores at least once a year which made me giggle a little bit–try seven days a week 52 weeks a year. That chain retailer is gone now, it collapsed. I think if you are going to be independent you have to be really tight knit with your community and we’re fortunate in that Durango is very tightly knit. Just like everyone else who’s local, we’re involved in our community, we know our customers, we know where they’ve been, where they’re going, and we try to support other businesses in town with that same idea. That’s our biggest advantage over the big guys. What are you doing on 4th of July? What do I like to do, or what do I get to do? (laughing) Being an independent business, I typically work on the 4th of July. That week is normally a super busy week for us. Otherwise, I typically get my raft out and float the river, do the traditional grilling, get together with friends and the community.